EPA Products Ltd has actively been involved with the development and control of Led lighting for the poultry industry for over 8 years. The led lighting industry technology is very fast moving, unfortunately a lot of led lighting products offered are not designed for the harsh environment of a poultry shed, and prove very unreliable and therefore not cost effective for the industry.A large number of customers asked EPA Products to supply a Led strip light as an alternative to their aging existing fluorescent lights. 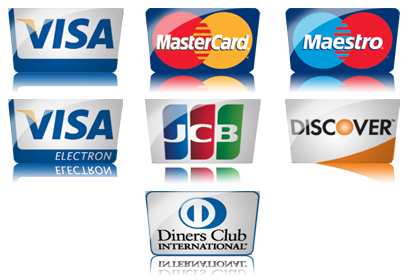 There were numerous problems when finding an ideal replacement………. Most customers had achieved over ten years useful life from their existing florescent lights and expected the same from a Led alternative. This was not possible despite claims from manufactures, a useful Led light life within a poultry shed application is three years. There was no industry standard to the installation or control for the led strip lights offered, making future replacements impossible when maintain the system. 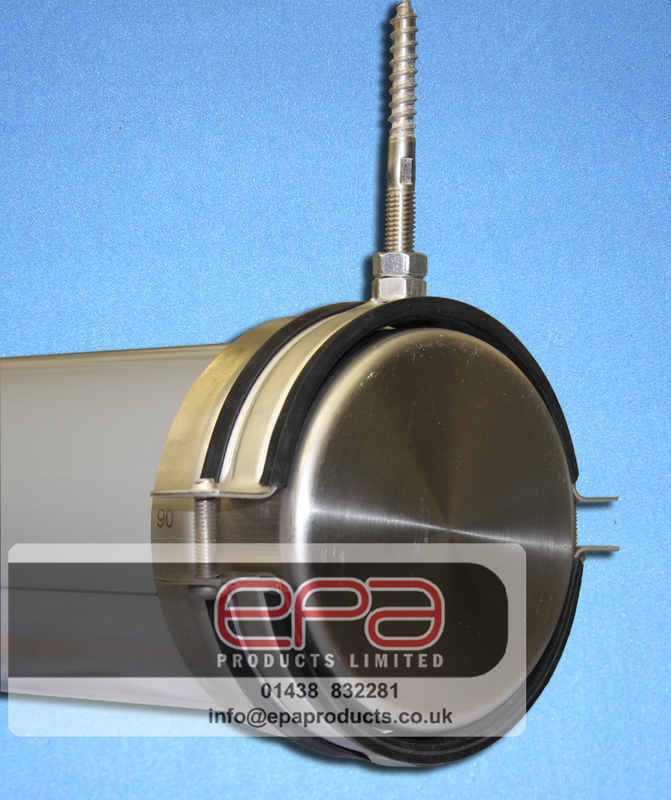 A lot of led strip lights trialled at EPA Products did not offer the same light spread as the fluorescent, therefore the customer would require more Led lights to be installed, again not a cost effective solution. The Led strip lights offered to the poultry industry are not suitable, simply because they were not designed to be robust enough to be used within in a poultry shed. Another major problem the manufacture had was no understanding of the negative effects and responses of poultry due to the incorrect colour spectrum. The systems offered were better suited to offices and schools. The Duroxo Agritube is a high quality Led dimmable strip light designed and engineered for the poultry industry. Why is Duroxo Agritube so good………………..? The Duroxo is designed for the poultry industry, and to accept the harsh environment. Pressure washer proof to 150 bar high pressure cleaning even with hot water and steam. 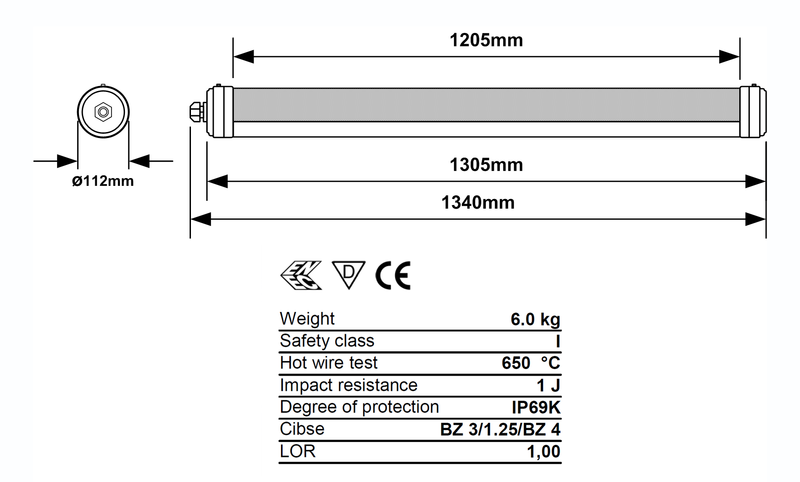 Ammonia proof IP69k Gas Tight rated by means of potted, corrosion –proof, end caps on robust chemically resistant clear tube made of impact resistant Acrylic (PMMA). Chemical proof against most common cleaning disinfecting agents. Quality components used within the manufacture of the lighting system, Samsung LEDs and BAG LED driver provide a service life in excess of 100,000 hrs when operated at 100% output. The effective life in a poultry shed of 15 years. Manufacture of the Duroxo Agritube is European. The lighting manufacture is Trilux the fourth largest manufacturer in Europe, with the head office and R&D in Germany. Warranty is a market leading 7 years. The industry required lighting levels can be achieved with a single row of lights on buildings up to 24 meters wide. Layers – double row, up to 18.3m wide poultry house @ 2.1m+ mounting height.